I have had a hard time sleeping over the past couple weeks. I've also had some back/neck pain which resulted in nasty head aches, but whenever I took pain killers I would get really bad stomach aches (because I am pretty sure I have stomach ulcers), worse pain then the head ache or back pain. So I started looking into herbal options to help with all of it. I have a muscle rub that I bought at Good Earth that I rub on my neck whenever it's really bad, and that helps. For helping sleep I was taking melatonin each night but I felt like it wasn't doing much. So I started researching essential oils. I got peppermint and lavender from Young Living. I have used them all week and they have been great! "For emotional healing, peppermint encourages regeneration, self-acceptance, concentration, vitality, and vibrancy. To ask your angels for help, use peppermint oil when barriers have been erected and all help has been refused. Use to clear a pathway. Uh, yeah. But all in all it's been really wonderful and I highly recommend it. Each night I take two melatonin, rub a little lavender on each wrist, and a little peppermint on my neck back. It's been a while since I have slept so well! In the morning I rub a little peppermint on my chest and/or neck and it helps me wake up. Also over the past two weeks my acne has been the worst ever! I feel like I have to try new products every month, but I have been using a combination of things and by the end of this week my acne is much much better, at least for this week. In the morning I use a little bit of Sibu Beauty (a Utah based company!) 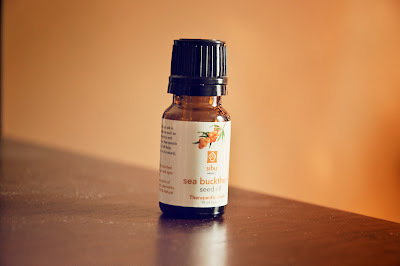 Sea Buchthorn Seed Oil. I bought this a while back and stopped using it but found it and decided to start it up again. The price for it has gone down a lot since I bought it last! (was $13, now $8.50). It doesn't smell great, but it's helping! When I do my make up I mix a drop of lavender oil and moisturizer together. 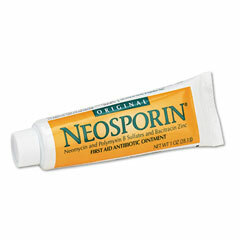 I always moisturize before doing my make up, it helps as a great primer for your foundation! And finally before going to bed I rub on Burt's Bees Acne Solutions Spot Treatment. The smell is not great and it was $9, a little on the pricey end of things, a little smaller then the Seed Oil, but it's one of the things that's working so I will keep it up till it doesn't work any more! Maybe I should start using oils. I have trouble sleeping I'm just so skeptical of the cure-all-miracle-stuff but I really do find aromatherapy relaxing so I should probably give it a try.